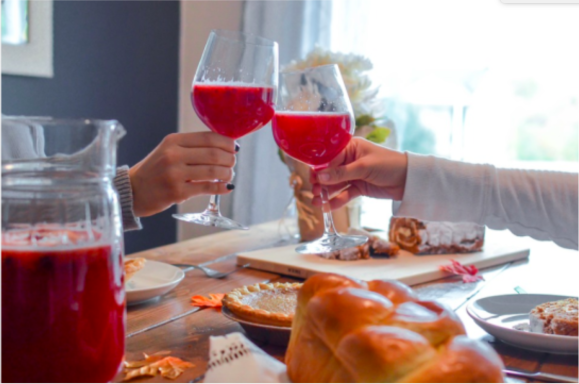 Perhaps you’ve secretly wished you could be the life of the party, wanted to wow family members at the dinner table, or jazz up conversation when you got together with a childhood friend. You probably didn’t guess the answer is staring back at you in the mirror! Indeed, the eyes have it, providing an endless source of amazing eye facts. Here are a few we found especially intriguing, grouped by category. Humans may take blinking for granted, but it plays an important role in eye health. Blinking flushes away particles from the eye’s surface, moisturizes the eyeball and outer eye, and carries nutrients and other substances to the surface. Furthermore, blinking helps prevent infection and brightens the image received by the retina. In contact lens wearers, blinking replenishes the tear layer the contact lens floats upon. 1. The average person blinks 12 times per minute, about 10,000 blinks per day, and 4.2 million blinks per year! 2. A blink usually lasts 100 to 150 milliseconds, so it’s possible to blink five times in one second. 3. Infants blink 10 times less than adults. 4. Blinking increases in response to pain, bright light, changes in temperature and humidity and conversation, however, it decreases when reading. Of the 285 million visually impaired people across the globe, 39 million are blind. More than 50% of blindness is caused by untreated cataracts. According to the World Health Organization, 80% of vision impairment can be prevented or cured. 1. A person can be legally blind but still see colors, shapes and varying degrees of light. About 10-15% of people who are blind see nothing at all. 2. Less than 2% of visually impaired people use a white cane to navigate. Others use guide dogs or nothing at all. 3. People who are blind are just as likely as anyone else to experience vivid dreams while sleeping, however, their dreams are dominated by sounds, smells, and tastes. 4. Research has dispelled the age-old myth that blindness sharpens other senses. Rather, people who are blind pay more attention to how objects smell or feel and devote time recording this information cognitively. The genetic factors influencing eye color are complex. Human eye color originates from three genes, two of which account for the most common colors – brown, green, and blue. It’s not fully understood how colors such as gray, hazel and multiple combinations derive. 1. It’s possible for two blue-eyed parents to have a brown-eyed child. 2. Most Caucasian babies are born with blue eyes, however, this often changes in the first year of life when the brown pigment melanin develops. 3. People with blue eyes share a common ancestor with every other blue-eyed individual in the world. People often wonder if their pets see what they see. Cats see six to eight times better in dim light than humans due to the shape of their retinas, elliptical pupils and large corneas. While cats have acute night and peripheral vision, their color vision is limited. Some experts believe felines only see blues and grays, while others think it is similar to dogs’ color vision, but with diminished rich hues and saturated colors. Dogs see fewer hues than humans and cannot distinguish between red, yellow, green, and orange objects. Beyond our beloved pets, here are a few intriguing eye facts about other creatures great and small. 1. Shark corneas are similar to human corneas, which explains why they have been used in human transplants. 2. Scorpions have as many as 12 eyes, however, the box jellyfish has twice as many! 3. Camels have three eyelids to protect their eyes from sand blowing in the desert. 4. Dragonfly have 30,000 lenses in their eyes, thereby enhancing motion detection and making it very difficult for predators to kill them. The colossal squid, which weighs up to 1,650 pounds and measures 39-46 feet long, boasts the largest eye on the planet of any creature, at 10.6 inches in diameter! For years, in order to check your vision, you had to go to the eye doctor once a year. Now with the latest technology, people can check their their vision from their refractive error to visual acuity AKA 20/20 vision AT HOME. With the $30 dollar EyeQue Personal Vision Tracker, get EyeGlass Numbers and use them to order eyeglasses from websites like Zenni Opitcal. With the EyeQue Insight, the family can monitor changes in their 20/20 vision and know exactly when it’s time for an eye doctor visit! Many people thought David Bowie had two different-colored eyes, however, the odd appearance of his eyes was caused by anisocoria. This condition is characterized by an unequal size in one’s pupils. Bowie’s left eye was damaged at age 15, when his best friend smacked him in the eye over a girl. As a result, his left pupil was permanently dilated and therefore didn’t respond to light changes. Bowie’s left eye often appeared quite dark, especially in comparison to his blue right iris, leading to the misconception he had heterochromia. Actress Kate Bosworth likely has partial heterochromia, which means part of one iris is a different color than the other. If you look closely, her left eye is blue and her right eye is primarily hazel with some blue at the top. Actress Mila Kunis suffered from chronic inflammation of the iris (iritis) for years. As a result, she experienced blurred vision, developed a cataract, was blind in one eye, and underwent sight-restoring surgery. This caused the pigmentation to change in one eye, although her color differentiation is more subtle than complete heterochromia.